This book is a wonderfully fresh take on the world of alternative flours and when to use them. I am not gluten-free by any means, but I often bake that way due to the fact that I live with someone with quite a sensitive stomach. However, this book doesn’t even claim to be “gluten-free”—it’s more about the exploration of different grains and nuts within the context of modern baking, and that is why I like it. 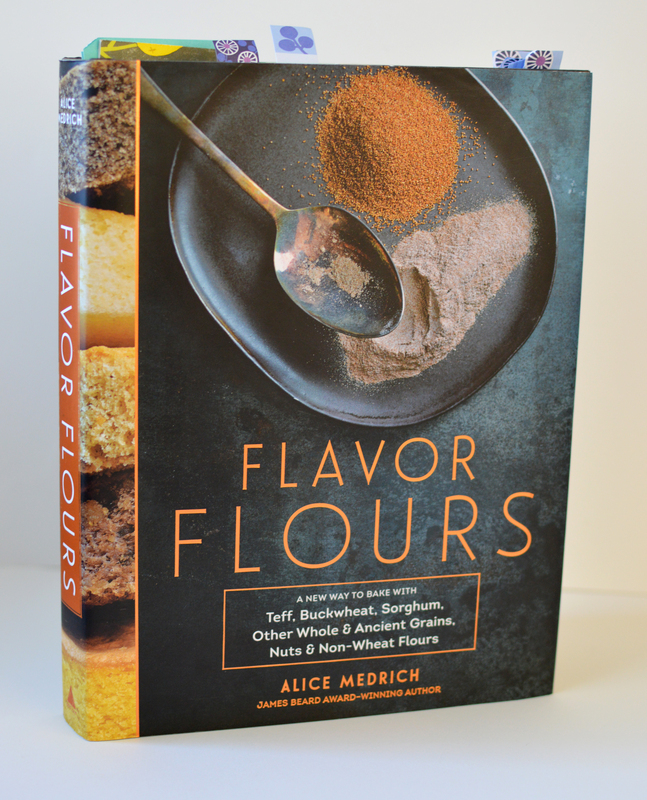 Flavor Flours is broken down into sections, each of which explores a type of flour. Medrich provides recipes that dive into the relationship between the flavor of the flour and the flavor of the accompanying ingredients. This should be helpful for bakers working on recipes outside of her book—they’ll know when to use, for instance, corn flour instead of rice flour. Each section also has a sponge cake recipe corresponding to the flour being covered, which seems like a really fun way to subtly switch up cake flavor. A couple of the recipes in Flavor Flours have worked their way into my weekly repertoire, including Butter Biscuits (pg 109), which I love to serve alongside soup, and Chocolate Chip Cookies (pg 126). I haven’t been able to try some of the more decadent recipes, such as her Chocolate Fudge Cake (pg 103) or the Chestnut Jam Tart (pg 212), but I can’t wait to. Especially good for: Bakers who need to bake gluten-free, or those who wish to expand their range of flavors and possibilities within the realm of baked goods.